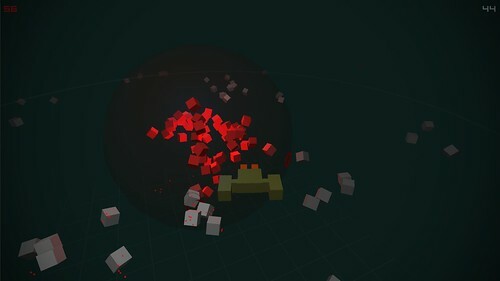 This is my entry in the Jan 2010 comp running over at experimentalgameplay.com. The theme was 100 things. You can play it at the link below. The game is called theFIELD. And it’s quiet meditation on cube collection. Turn the lights down, breath, relax and push some cubes. Controls are UP DOWN LEFT RIGHT and SPACE. Hopefully their use will be obvious. I must give a big “dude your awesome” to Shawn Eustace, who when I asked for comments gave me a page of things I didn’t even see. Comments and criticism are warmly encouraged. Published on January 15, 2010 8:19 am.